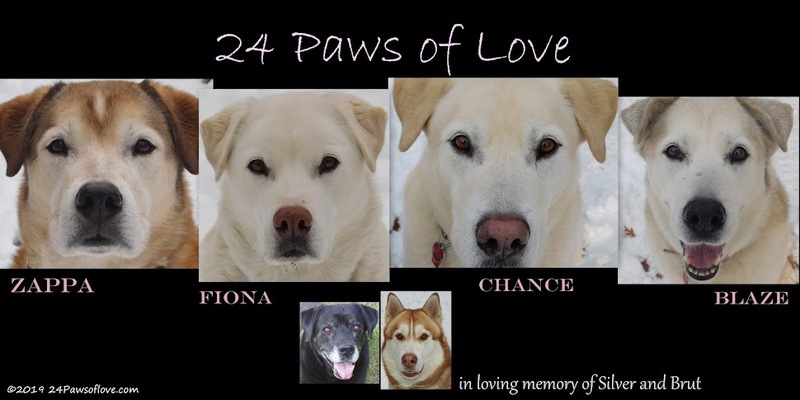 24 PAWS OF LOVE: New Christmas Header!! I finally did it! I started this goal this past spring of getting all four back dogs all in one picture, with the hope of maybe having a real Christmas photo. And just look how it turned out. You see that space with Brut? Nobody wants to get too close to him. BOL! You don't mess with the top dog when there's food around. They all did so great! I figured out while doing this shot to get Brut in a spot and lure the other three closer and closer and then bring Brut in a little closer to them. Worked out great! This is such progress! I can't believe it. I'd love to have them all buddy buddy close, but when you've got a King Brut there's only so much coziness you can have! I bet they decided to stay away so that Brut's Beauty is emphasized. Glad that you were able to have them sit together in one picture. Great shots and you have worked wonders. Onwards and upwards. Have a fabulous Friday. Love the new header and all the progress you've made! Puts the happy in holidays, for sure. 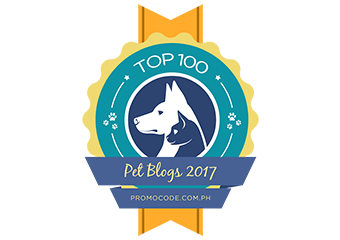 Your patience and dedication to your two packs is lovely...The progress you're making with Brut is super! Your patience has paid off! The new header looks great! 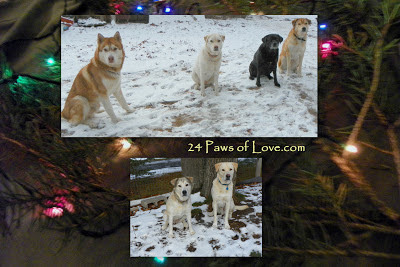 Come pawticipate in our Christmas Furiends posts at our bloggie! Send your Christmas / Holiday themed pics to fiestythree at gmail dot com! The pictures look wonderful! And congratulations on the progress! Congrats, such a cute pic with them all sitting so nicely! We think it is beautiful. And we are jealous that you have snow!!! The most beautiful Christmas angels ever! Great work, team! They all look so calm, and attentive. Love the photo!